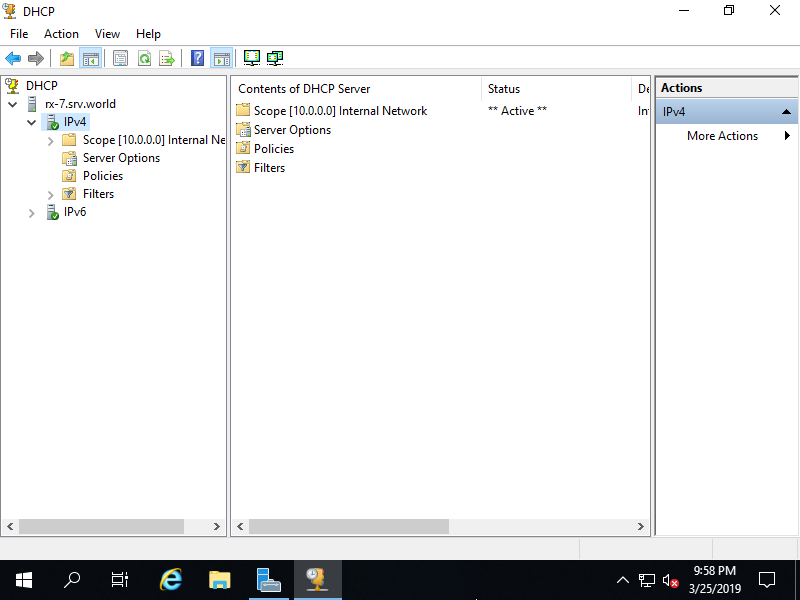 On this example, it shows only the case for IPv4 configuration. 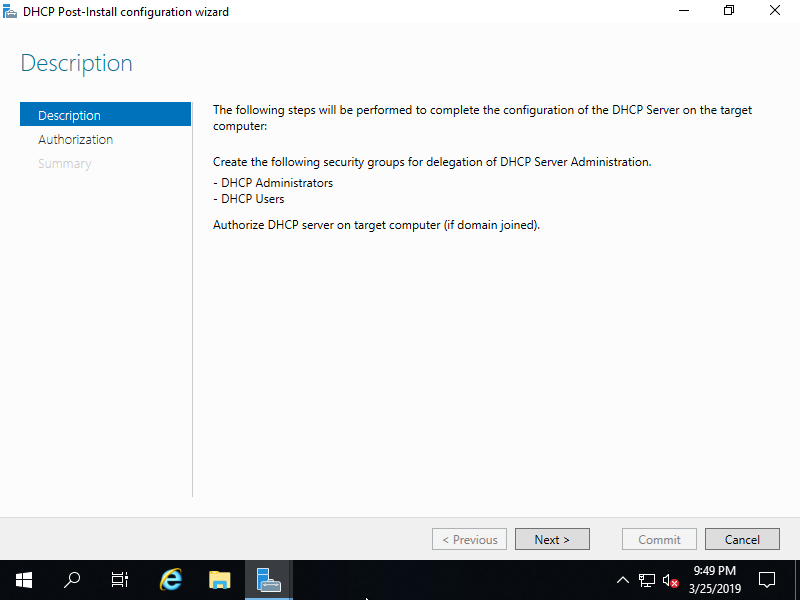 By the way, if your Server to install DHCP is stand-alone Server, it's OK to logon to configure with local Administrator account, but if your Server is in Active Directory Domain, Authorization from AD is required to configure DHCP Server as valid Server, so logon to configure with a user that is AD Domain user in Domain Admin group. 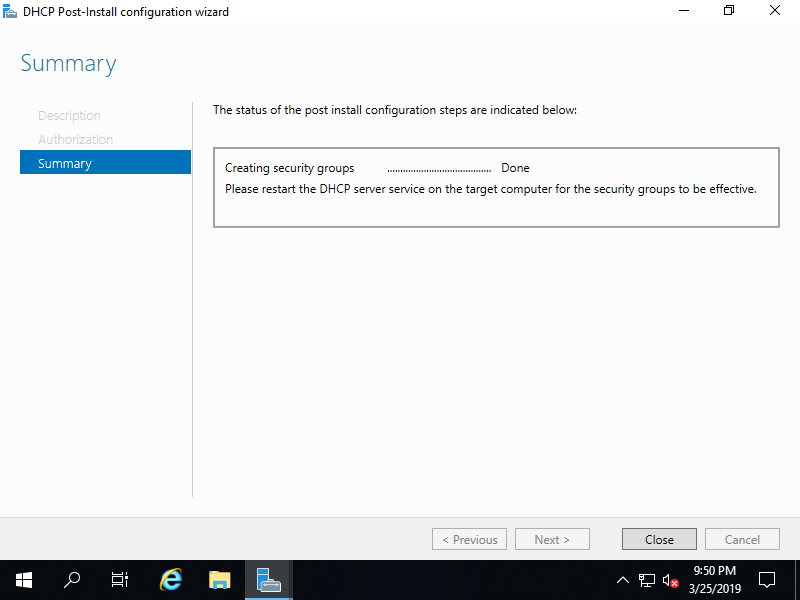 Run PowerShell with Admin Privilege and Configure. 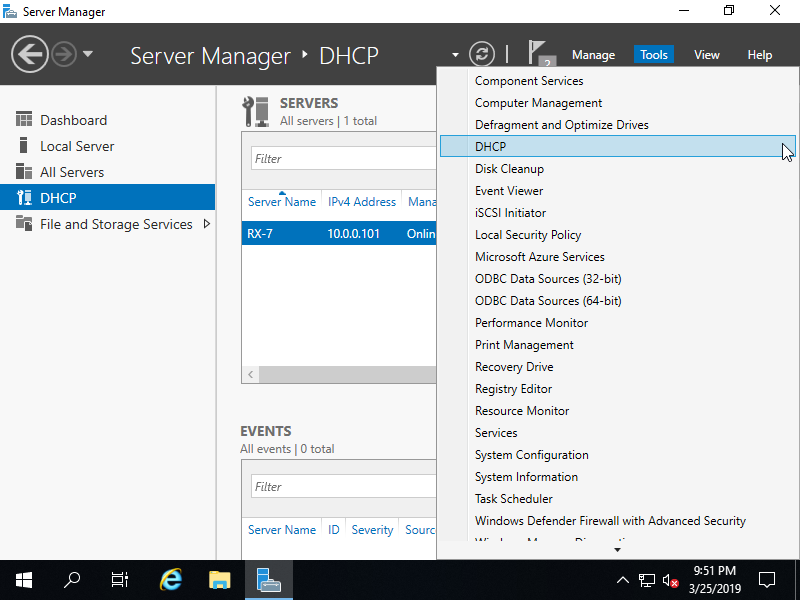 Run Server Manager and Click [DHCP] on the left menu and next, Click [More...] link which is upper-right. 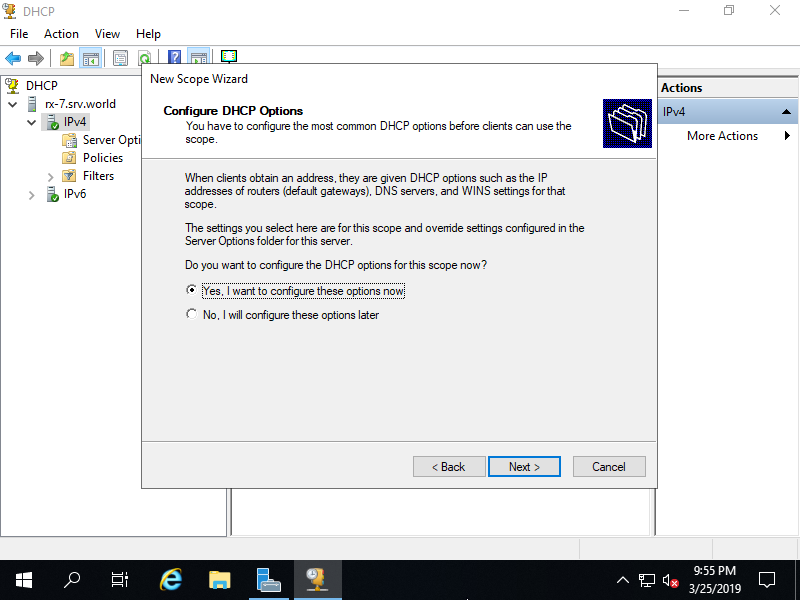 Click [Complete DHCP configuration] link which is upper-right. If your Server is Stand-Alone Server, select [Skip AD authorization] and Click [Commit] button. 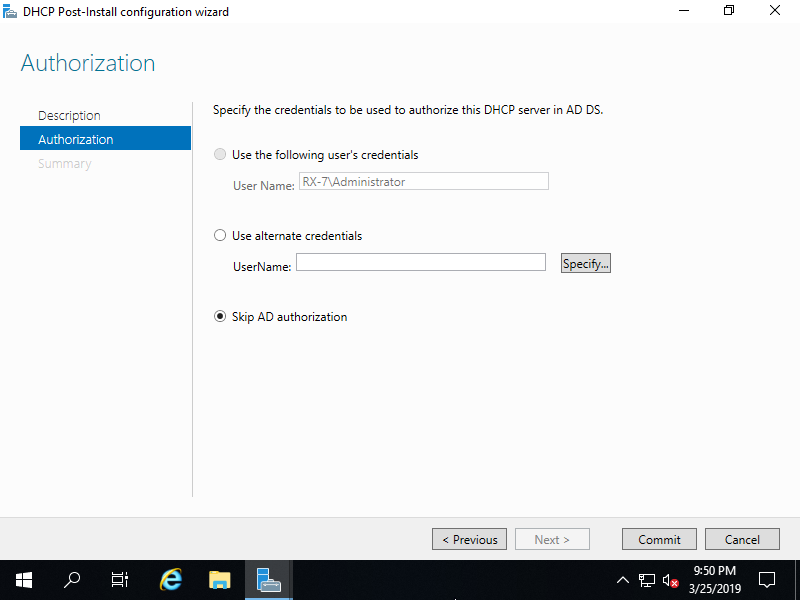 If your Server is in AD Domain, though current user is set automatically for AD authorization but if you'd like to change it, set a user for AD authorization and Click [Commit] button. 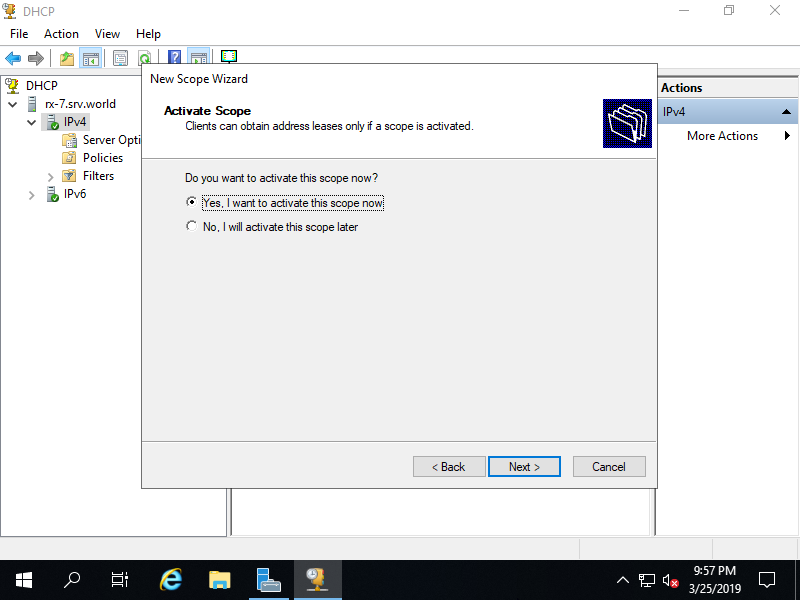 After successing authorization normally, click [Close] button. 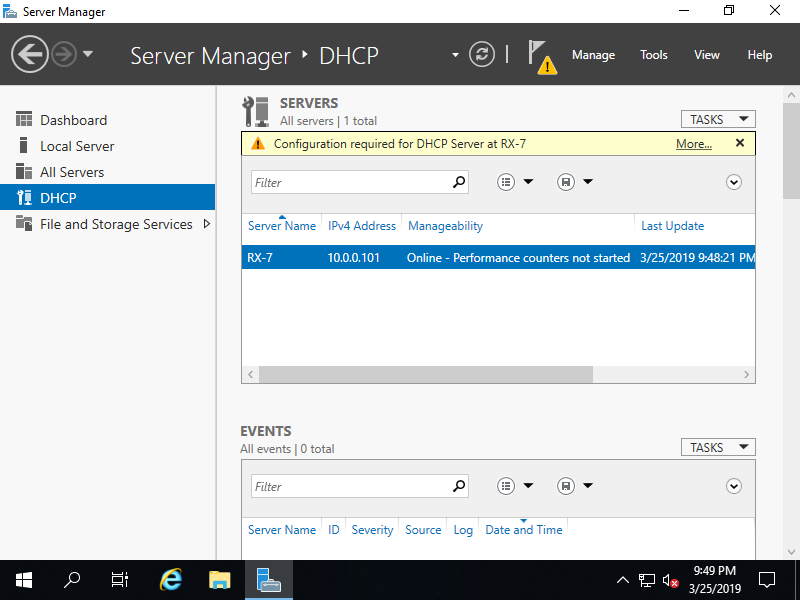 Back to Server Manager and open [Tools] - [DHCP]. 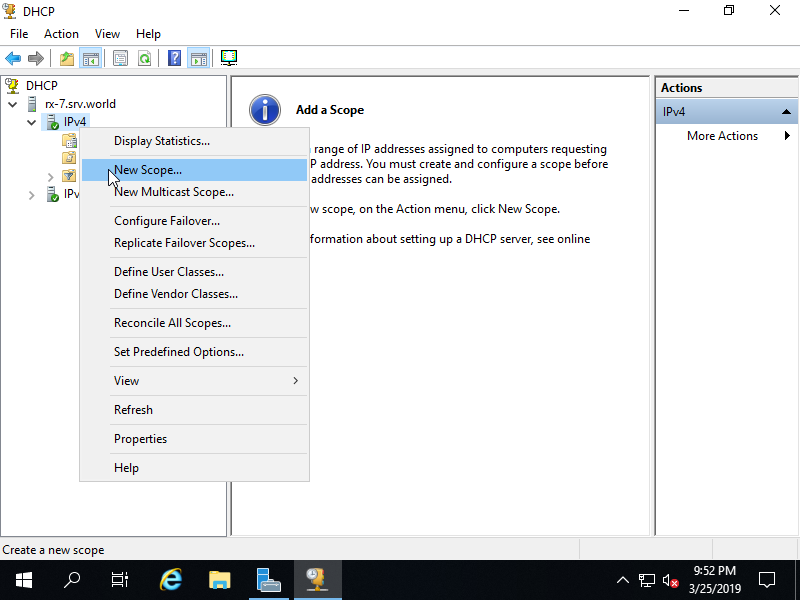 Right-Click [IPv4] on the left pane and select [New Scope...]. 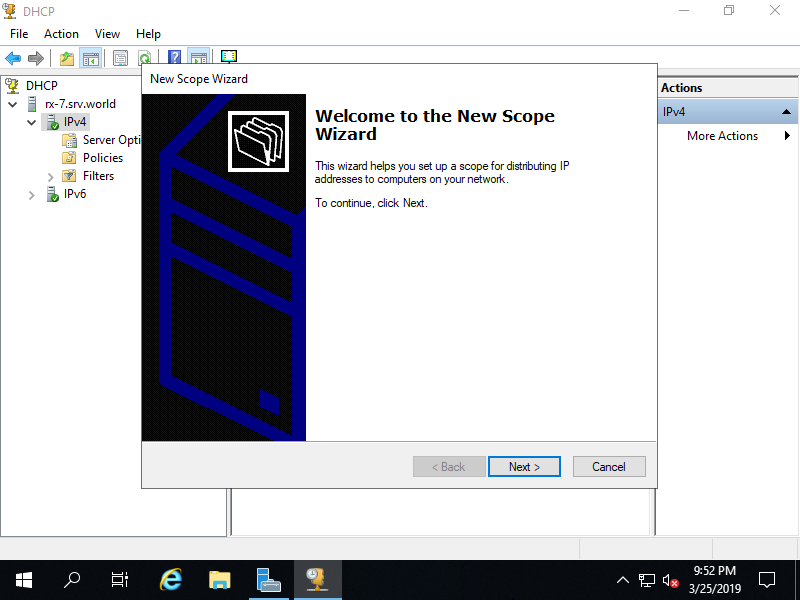 Input any name and decsription for this scope. 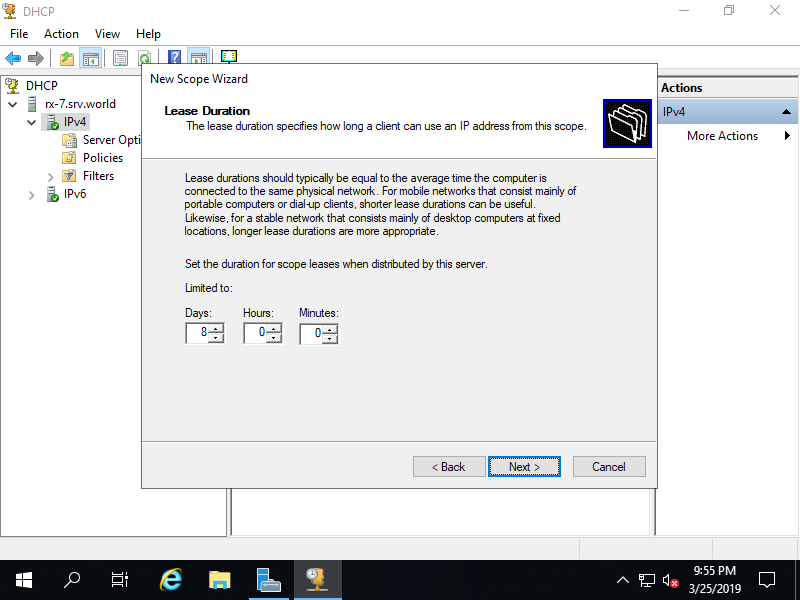 Input IP address range for lease and subnet mask. 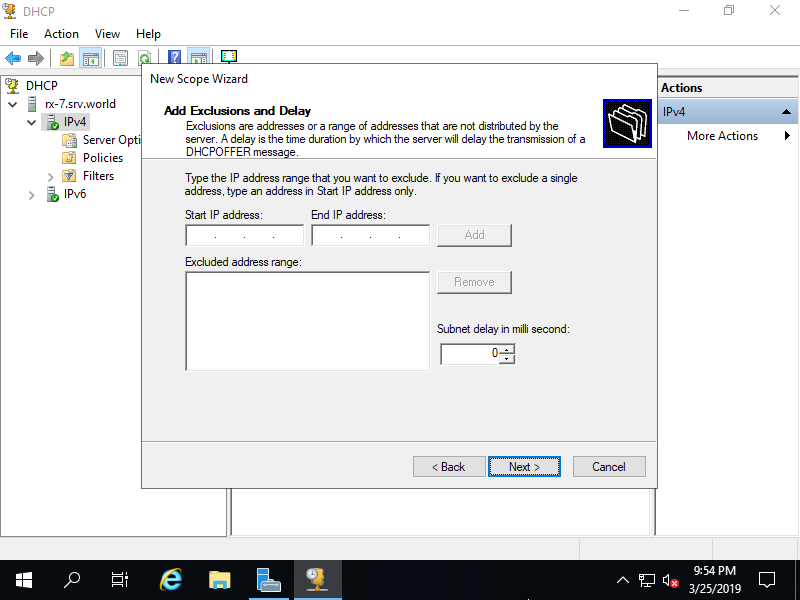 If you'd like to exclude specific IP addresses from the range set in previous section, Configure it on here. 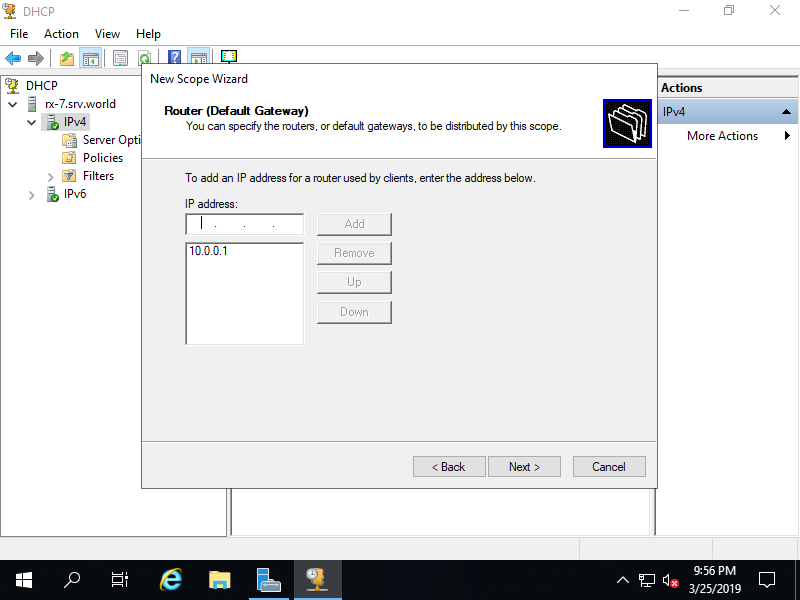 Input default gateway of your network. 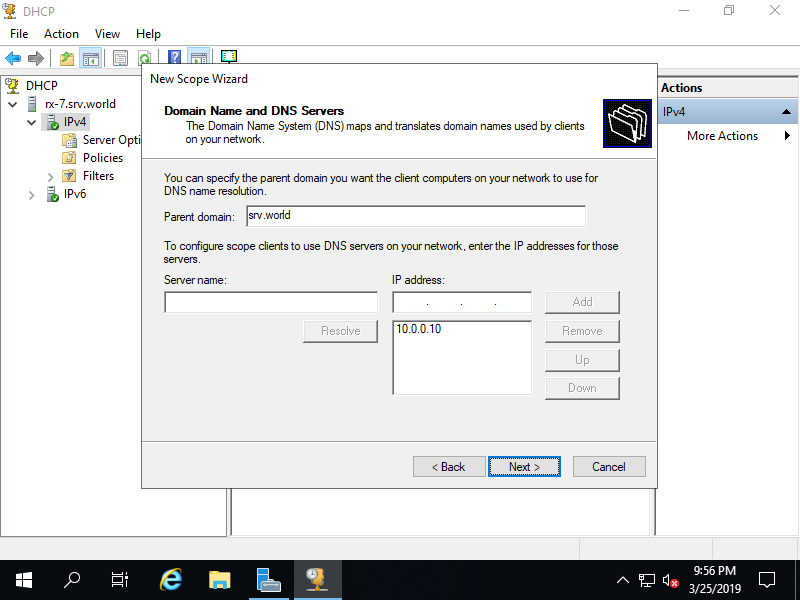 Input Domain name and DNS server of your network. 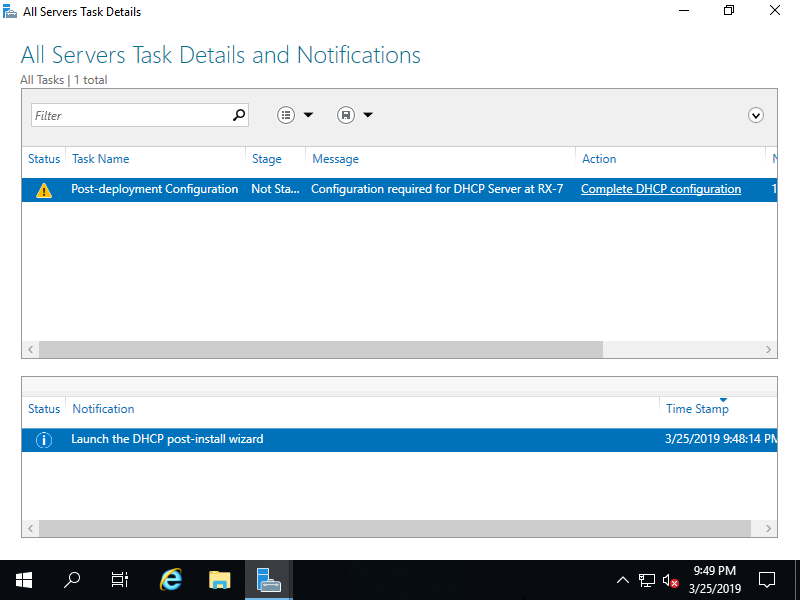 If your Server is in AD Domain, it set automatically, make sure it and proceed next. 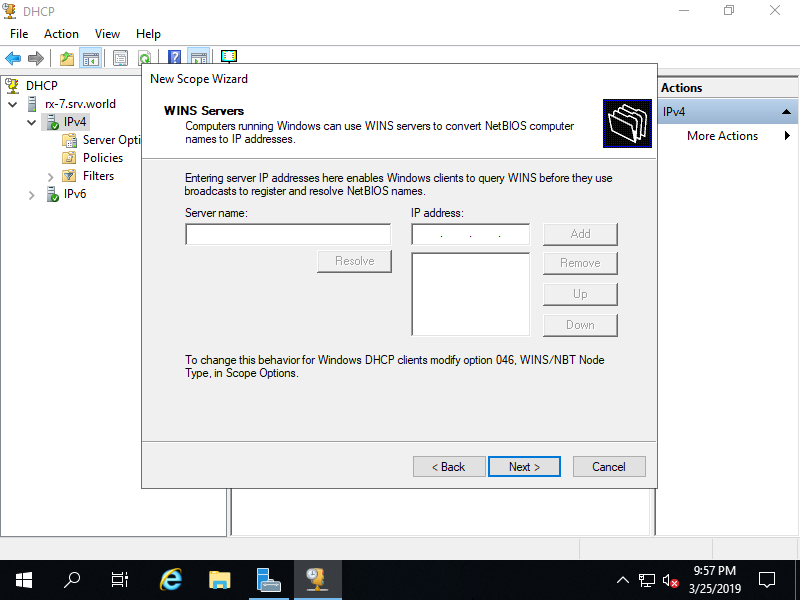 Input WINS Server. It's OK to keep empty here if you don't need it. Click [Finish] button to complete configuration. 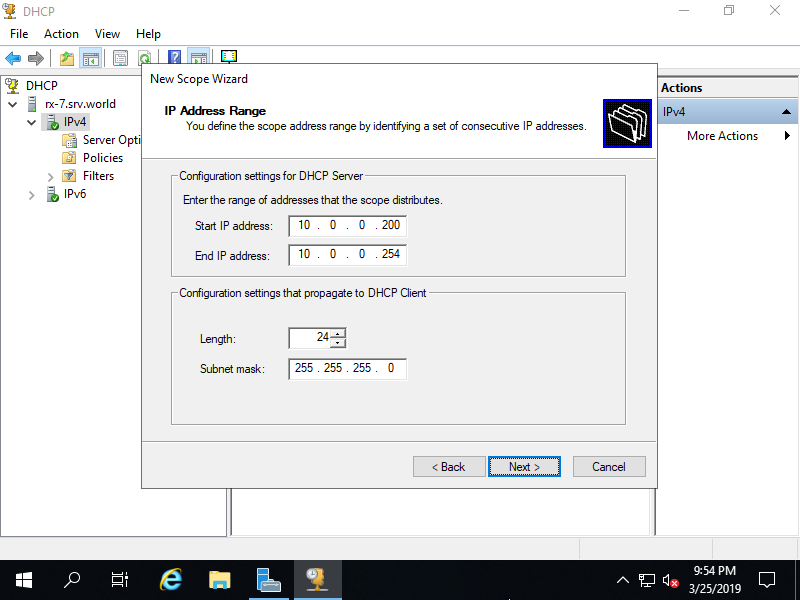 New DHCP Scope has been added.